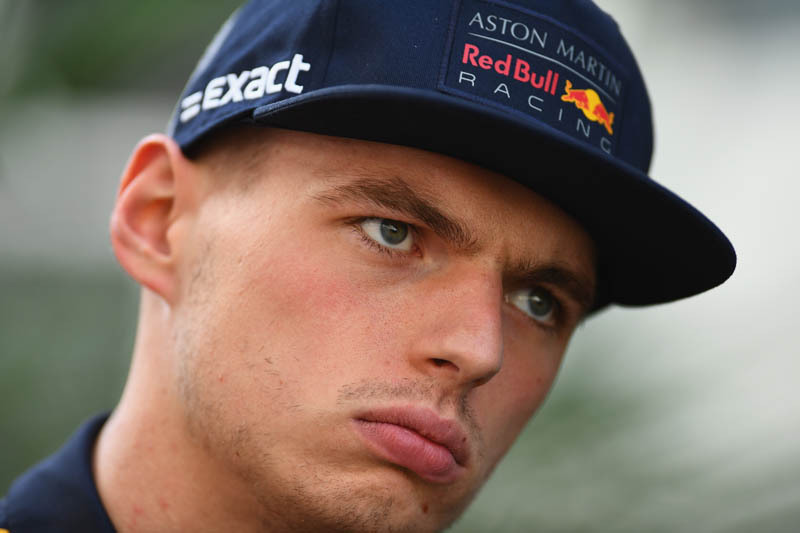 In attending the FIA International Stewards Programme, Max Verstappen has completed the public service punishment meted out to him in Brazil. The youngster was ordered to perform two days of public service, within six months, after stewards at Interlagos deemed he had started an altercation, pushing or hitting Esteban Ocon forcefully several times in the chest, in the aftermath of their collision during the Brazilian Grand Prix. Having previously spent a day as an observer with the stewards at the Marrakesh E-Prix in January, yesterday Verstappen joined the FIA International Stewards Programme in Geneva. It's understood he took part in a number of interactive case study sessions, which involved considering an incident, deliberating with the stewards and deciding an appropriate penalty, activities which are in line with the educational approach taken by the FIA. "We are doing our job on the track, trying to get the best out of the race, and it's clear that the stewards are doing their job to find the best way to reach a fair decision," said Verstappen. "It's been a good lesson and I've learned a lot, both in my day in Marrakesh, which I really enjoyed and which gave me a good understanding of the stewards, and now here - I think it's also good to be a part of this event." "Hotheads plenty in F1 Vettel ramming Ham in Baku , Prost ramming Senna , Senna ramming Proost , Senna hitting Irvine , Piquet hitting Salazar ,Ocon ramming Perez, Alonso pushing Vettel of track in Dangerous move in curva Granda . "F1 is full of hotheads, that's why they are driving in F1. The passion and rive they have is what keeps them going. I remember another hothead storm down the pit lane at Spa to have a 'chat' with Coulthard. It's in their DNA. Slap them on the wrist when they go to far to pull them back in line. Wouldn't have F1 any other way. I want to see that drive and passion. It shows they are human." Verstappen is a serial hothead and bully, like his father. No amount of looking at paperwork is going to affect his attitude towards other drivers. We saw the same petulance at the Monza race and despite picking up penalties, he's not changed one bit." "I think it was Human what happened between Max and Ocon, it’s the heat of the moment, they still humans not computers, I know they at profesional level but it happens in every sport, I think Max learned lots from the time spent with the stewards and next time it will be a little less aggressive perhaps? "Should he throw another temper tantrum this year, he'll have to suffer a fireside chat with Jean Todt, just like Vettel. He needs to go on an anger management course, before he makes himself, RB and F1 look even more toothless in the eyes of public opinion.